Morocco or the Kingdom of Morocco is located in the Northwest Africa. This a unique destination with incredible nature. Visiting African country and getting to know the Moroccan culture is an amazing experience. 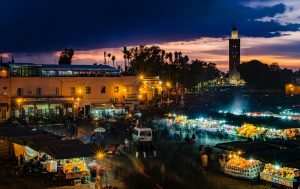 There are some unusual understandings that you need to know before going on a trip to Morocco. For example, white is the colour for mourning there. Unlike other countries, where is black is the colour. Another interesting fact is that it is not well accepted if you are doing anything socially important with your left hand – like eating and shaking hands. So, keep in mind to always use your right hand to avoid any misunderstandings. Women need to be careful what clothes are wearing in their tip to Morocco. You need to dress modestly and it is recommended your shoulders and knees to be covered. Especially, when you are walking around the small cities. Otherwise, you may receive some unwanted attention. Good advice is to take a scarf with you, because there are so many mosquitoes that you will want to cover yourself. In Morocco you can find a wide variety of delicious food. However, the most popular dish is couscous. You can find it almost everywhere in different variations. On the other hand, green tea with mint is the most popular drink. They like to add sugar and depending on the season you can drink it hot or cold. 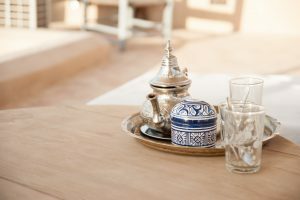 Moroccans drink green tea throughout the whole day as a social activity. Visiting the Moroccan market is another memorable experience. It is so colourful and fill in so many goods – from food and drinks to souvenirs and textiles. This will be a cultural experience, one of the biggest attractions in Morocco and you should not skip it on your trip to Morocco. However, you need to be careful when taking photos of the people and the shops. You may have to pay for the picture unless you are buying something from them. Another useful tip is to hire a local guide to help you see the country through the eyes of a local person. This is the best way to walk around the old towns and see places that are not popular with tourists. 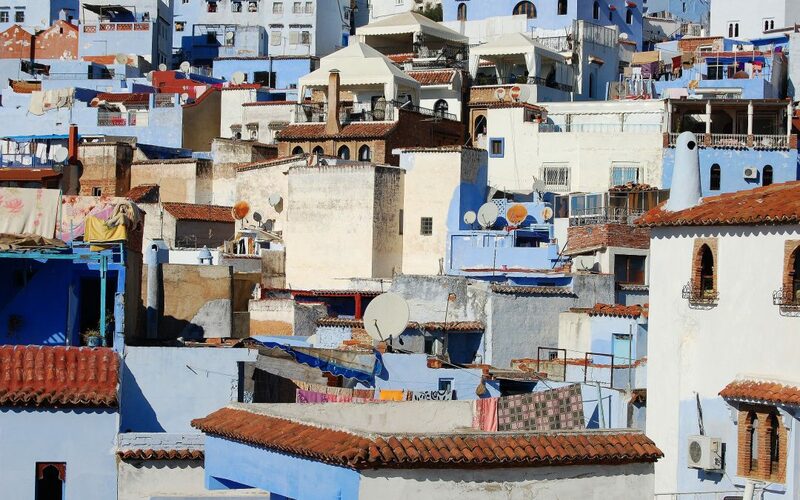 Moroccans speak Arabic, Berber, English and French, so it will not be that hard to communicate. All local people in Morocco are nice, friendly and honest. The good thing is that violent crime is not something frequent. However, as in most big cities, you need to be careful about pickpockets. A trip to Morocco is such a memorable experience and adventure. A unique culture, breathtaking scenery and a place that you need to visit. People are tolerant and hospitable which will make your stay even more satisfying. Travel, explore and make your dreams come true. There is a new Moroccan event coming up on Lady Popular: Ethno Marrakesh Fest. Go and check it! Have you ever been to a trip to Morocco? Which is the next destination that you are planning to visit?